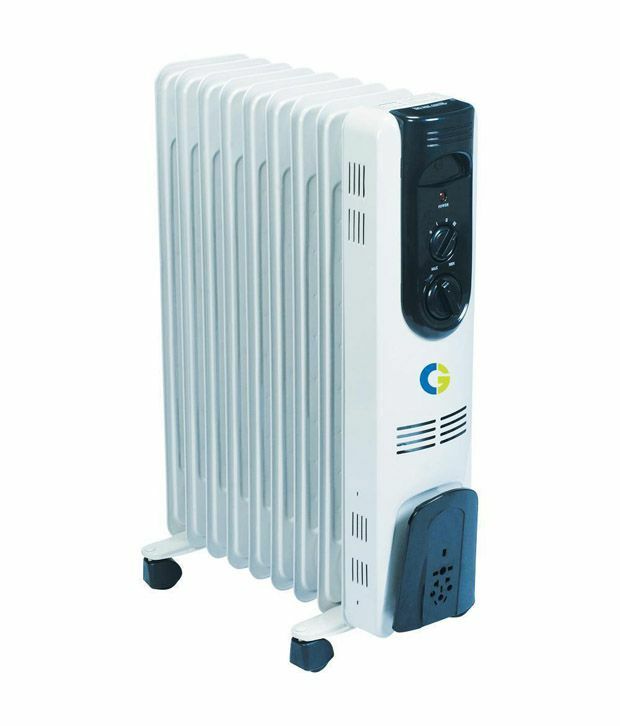 CG-ORH1 is a 9 fin oil filled room heater featured with 3 heat settings of 800, 1200 and maximum 2000 watt. It has an adjustible thermostat. For easy and effortless movement this room heater comes with castor wheels. One more feature provided is the automatic switch off if the heater if it's knocked over, the grill is touched, or if the unit is overheated. To Recieve updates and possible rewards for Crompton Greaves ORH1 please sign in. To Recieve updates and possible rewards for Room Heater please sign in.